John is a fellow of the ICAI and is a member of the Irish Society of Insolvency Practitioners. John founded McStay Luby having previously been the national insolvency partner in Ernst & Young. 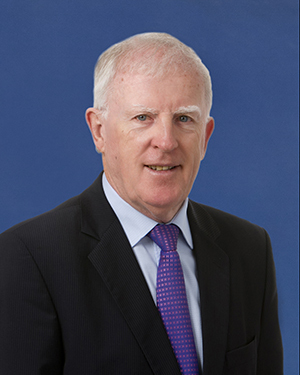 He is a past Chairman of the Consultative Committee of Accounting Bodies Insolvency Committee – South and has written and lectured both in Ireland and internationally on the subject of business failure and related issues. John specialises in Corporate Recovery and Litigation Support providing insolvency solutions to banks, legal firms, accountants and directors of distressed companies. He has acted in a number of major cases in Ireland across industries including communications, aviation, manufacturing, telecommunications, newspapers and reinsurance. John has acted as an expert witness on a number of occasions and acted in this regard on the financial performance of the Blood Transfusion Service Board for the public sworn enquiry into contaminated blood products. John is also a former Chairman of a successful regional newspaper group which was sold in 2005. Joint Liquidator Iralco, a specialist manufacturer of automotive parts. Managed the trading of the business profitably for six months and then sold the business, preserving the employment of the majority of the 400 employees. Appointed Receiver of various property developments by national banks and lending institutions.